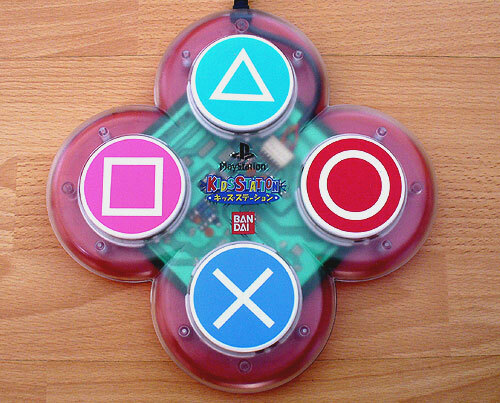 A large four button controller with USB adapter for use with PCs. This item comes supplied with JoyToKey software, enabling the four buttons to be used as a Mouse controller, or to be used with most switch compatible software and games. Much cheaper than buying four separate switches and a PC switch interface. Use stickers or photos attached to each button to make its function clearer. Used in Japan as an assistive technology device [English translation]. USB only, so not compatible with switch adapted hardware.